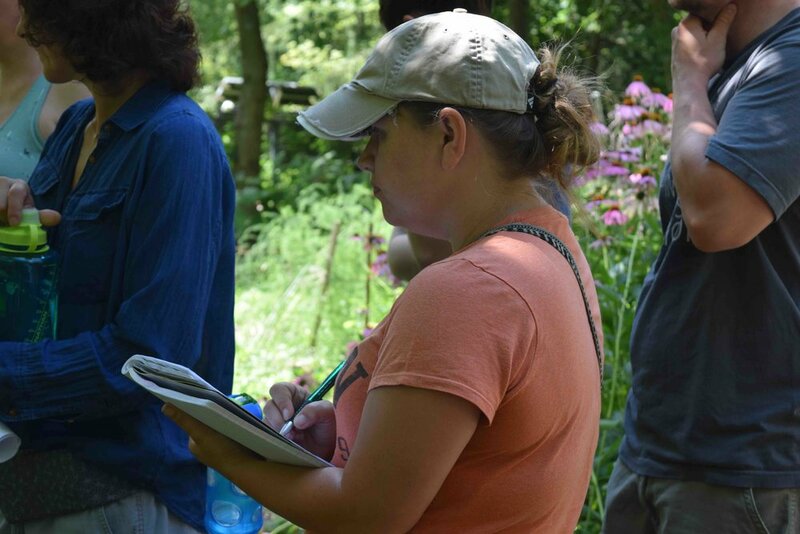 We're gearing up for our next Year Long Permaculture Design Certification for our 4th year in a row and our 13th year of training folks of our region in this foundational knowledge for sustainability and resilience. We will get to the root of our un-sustainability and teach you how to move beyond that on all scales of living in the midwest. Our 2017/18 Class learning about Passive Solar, Off Grid Construction in an off-grid house built by a former student. There are many Permaculture learning materials out there, including books, online resources and residency based courses. This course focuses on the skills that don’t translate well to books which require a real live instructor relating the concepts to your experience and context, here in Cincinnati and greater Ohio, Kentucky and Indiana. The Year Long PDC takes place in a variety of locations around the Cincinnati Area. 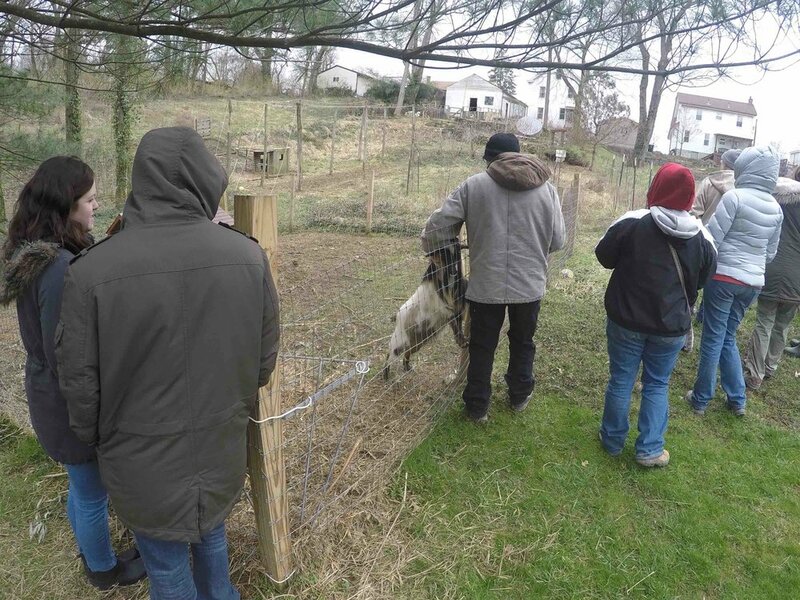 We situate our classroom in urban homesteads and green businesses as well as rural homesteads and farms. We see, smell, listen, and get our hands dirty throughout the seasons, learning the different aspects of our seasons and the types of work required to live locally on all fronts, from building to energy, to food to communities. This full 72 Hour Design Course with an added 25 hours is designed to maximize learning throughout the seasons in a small group context and results in every participant delivering a Permaculture Site Design at the end. 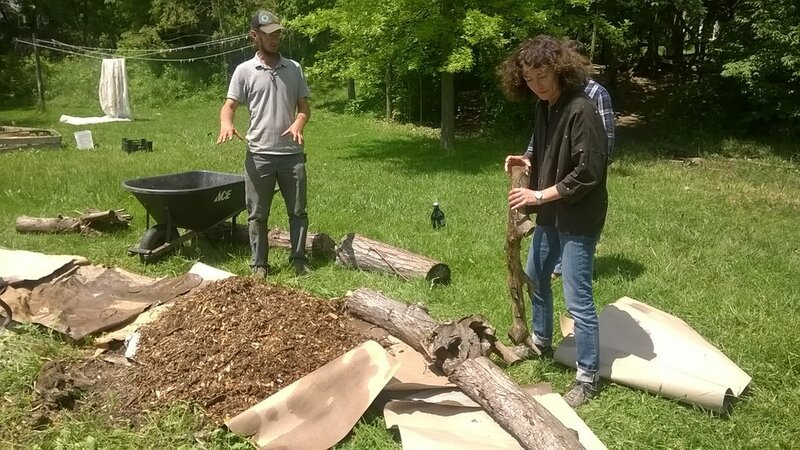 The course serves as an introduction to Permaculture Design as developed by Bill Mollison and David Holmgren, which connects you to the local community for further practice, work and advanced education. Register Here - At the bottom of this page. And many farm tours to see what works for different situations and goals. Hands on Skills - Yet to be finalized, what interests you most? Lead Instructors: Braden Trauth and Chris Smyth as well as many other session teachers. Our teaching staff is diverse with many decades of combined experience. We do this to connect students with area experts and to round out teaching styles. Meals will be delicious and as local / vegetarian friendly as is possible appropriate to the time of year, but most likely will need to be supplemented with beyond bio-region produce. Meals will also be limited depending on final attendance. This course is targeted at folks in our bio-region. If you are traveling, lodging can be worked out for overnight stays through a network of friendly homes for a small fee. We try desperately to keep the cost down in order to make this expertise accessible to as many as possible. 97 hours of instruction and countless hours of preparation require some level of reciprocal payment. These are valuable skill sets, crafted by skilled practitioners, and designed to save you years of mistakes by sharing our failings and triumphs in a time-maximized educational setting. After a certain number of registrants have enrolled, scholarships will become available for those in need.